The Calvary Fund Civic Association was established at the initiative of local organizations – the Association of Banská Štiavnica ’91, the Baden-Powell Foundation and the Slovak Mining Museum with the participation of the Calvary‘s owners – the Roman Catholic Church, the city of Banská Štiavnica and State Forests SR. The association was registered on January 17th, 2008. Its mission followed the activities of its namesake association, which managed care of maintenance of the complex from the time of its completion in 1751 until its dissolution by the communist regime in 1951. The mission of the Calvary Fund is the total renewal of Calvary including interpretation of the 18th century pieces of high artistic quality and also to ensure the future use of the Calvary complex. Since its former intensive religious use has not fully resumed, in addition to maintaining the spiritual dimension the Calvary Fund intends to create the conditions for recreational and educational use of the site. He was seven years director of the Centre for Slovak Scouting (projects totalling for €5 mil. 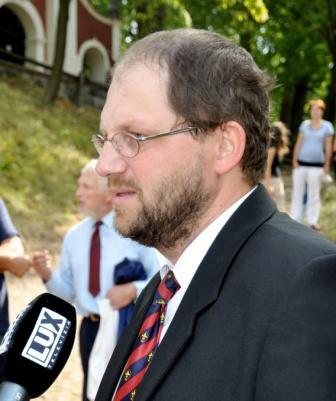 ), and also served as coordinator of the EU Solidarity Fund to help the High Tatras in the amount of €7 mil, he was involved in the rehabilitation of a renaissance house in Banská Štiavnica, and he was leader of the largest mobilization of volunteers in the history of the Slovak Republic (assisting after the floods in the Czech Republic and windstorm calamity in High Tatras). He is responsible for overall project coordination, fundraising, monitoring the utilization of funds raised, public and volunteers participation, PR management and construction supervision. 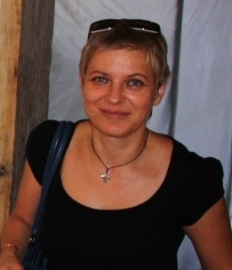 Worked for nine years as the director of the Monuments Office in Banská Štiavnica, currently acts as a scientific and research worker at the Faculty of Architecture STU. Was the main initiator of the Calvary’s inclusion in the list of „100 Most Endangered Monuments in the World“, drawn up every two years by the World Monuments Fund of the United States and is the key person in the project coordinating financial donations to the fund for the restoration of the Calvary’s endangered frescoes. She is responsible for cooperation with international organizations, coordination and supervision of research and architectural works. Graduate Faculty of Ecology and Environmental Sciences. He worked in several management positions and now capitalizes on this experience via administrative support and project coordination of volunteers from different countries who assist with the reconstruction activity. He is also responsible for administration and financial coordination of a smaller project, the Calvary website administration and promotional materials production. Graduated from the Faculty of Natural Sciences, Department of Environmental Management. A longtime volunteer dedicated to education and non-formal education in the Slovak Scouting. He is responsible for maintenance of the Calvary area and buildings, in particular coordination of volunteers. Graduate of the Technical University in Zvolen, Department of Economics. Experienced in management of a forest resources company. Accounting practice in the business sector began shortly after graduating from high school. Gradually moved to profit sector accounting, to which she has been dedicated for over 10 years. She is responsible for the Calvary Fund’s accounting and financial reports.